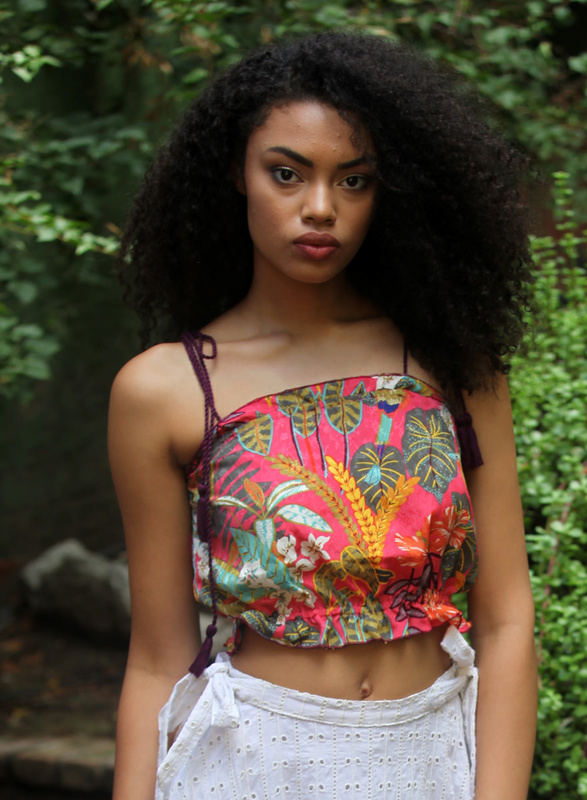 Satiny and shiny tropical printed crop top with tie straps. 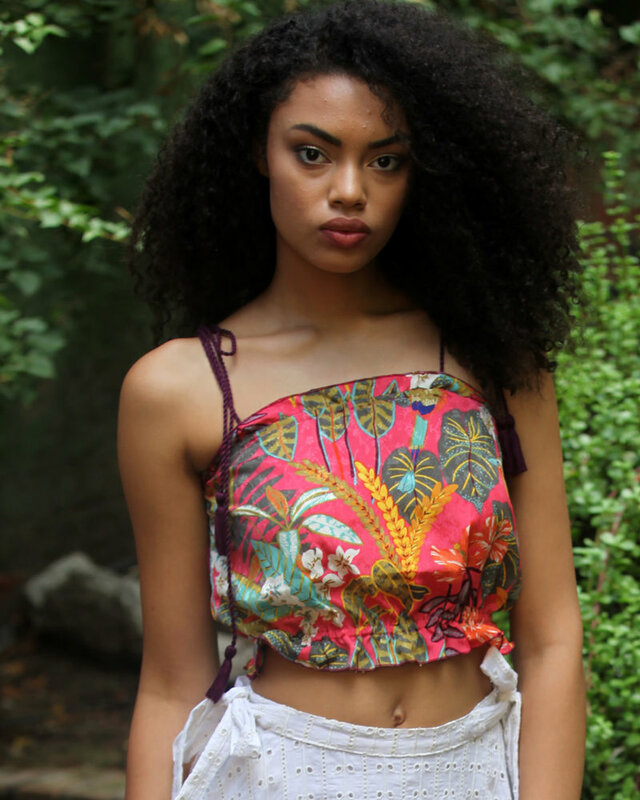 Relaxed fit with flared hem. 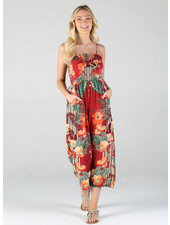 Adorable top for vacation times paired with your high rise trousers!